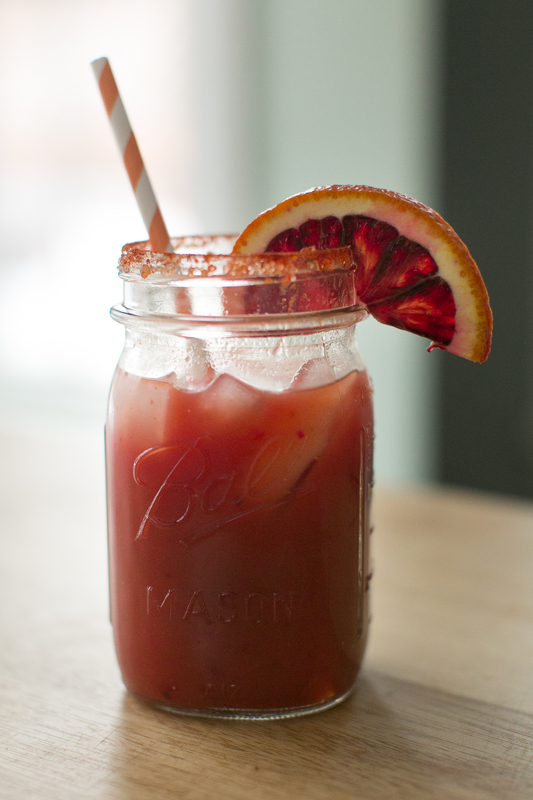 For a while, I’ve wanted to try out this Martha Stewert Blood Orange Bloody Mary recipe. 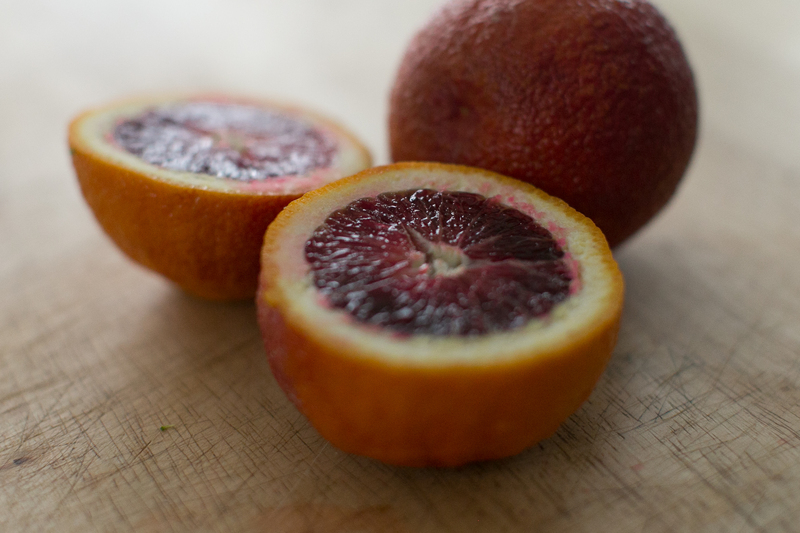 Since Blood Oranges are in season during the winter, I recently picked up a few and gave it a go! At the time, I didn’t realize I was out of horseradish, so I changed up this receipt just a little bit. 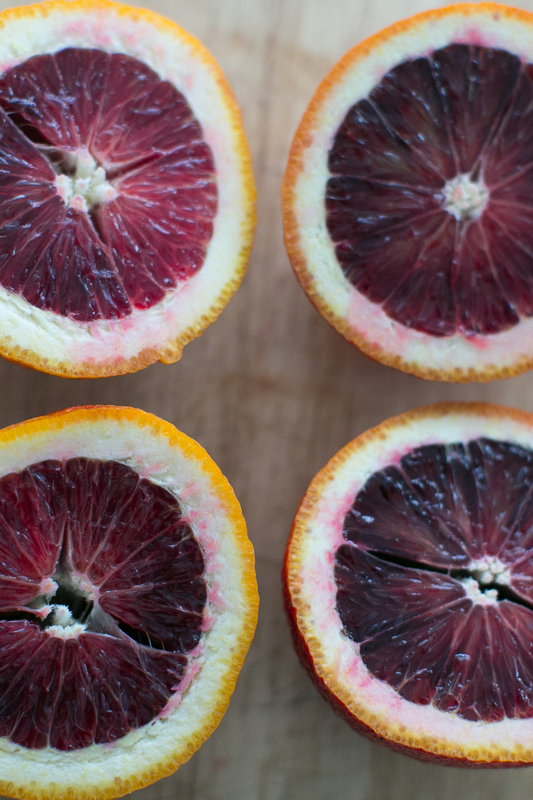 It’s a shame Blood Oranges aren’t in season over the summertime. This Bloody Mary was so crisp and refreshing, it would be awesome to enjoy on the patio with the sun shining down. For now, it gave me a little glimmer into summer. 1. Mix the sea salt and chili powder together in a flat plate. Dip the top of your glass with 1 tsp of lime juice and then dip into the sea salt/chili powder mix. 2. Add ice to your glass. 4. Garnish with a slice of the Blood Orange. * Tip on juicing I learned from Mr. Beilke. Who learned from Oprah (that’s right). Use your teeth to juice the fruit. Sounds strange but it works. Cut the orange in half and bit the skin to get the most out of it. 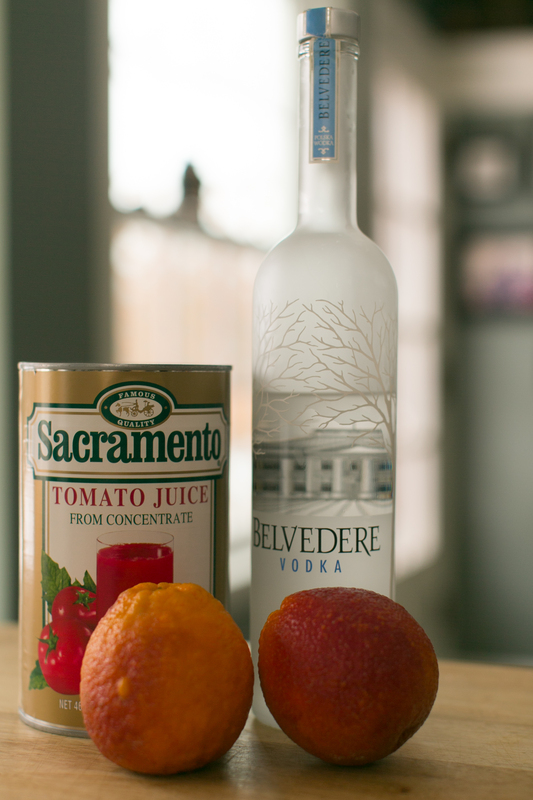 This entry was posted on February 21, 2015 by Shannon in Recipes and tagged belvedere vodka, blood orange bloody mary, blood oranges, bloody mary recipe.